We offer a wide spectrum of placement services.Apart from serving housemaids, we also specialize in providing amateur and professional cooks, governess, aayahs and caretakers. We provide experienced cook. They are specially trained to maintain good order in kitchen and limit wastage of resources. We provide male and female staffs with 12 hours, full time, part time, day and evening shift based, hours based. A cook is a household staff member responsible for food preparation. The term can refer to the head of kitchen staff in a great house or to the cook-housekeeper, a far less prestigious position involving more physical labour. We also undertake traditional cooking and serve our customers with the best traditional meals from different parts of the country. We are into Cooking Traditional Foods for different parties, which are region based and serve our customers with the authentic taste of the regional traditional food. Get home cooked food from home cooks in Madurai. 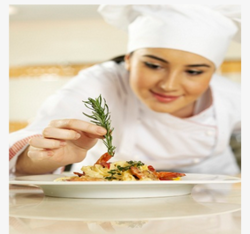 We give trusted and innovative cooks with a positive attitude.